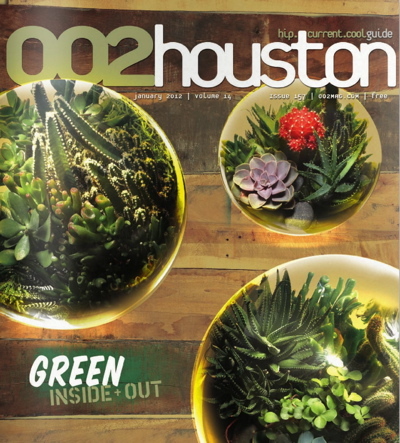 Vernon created these green planet-inspired terrariums for the January 2012 Green: Inside + Out issue of 002houston Magazine. Check out the issue and learn more about being green in 2012 here. This entry was posted in Press, Terrariums by admin. Bookmark the permalink.